In her uniquely designed book, To Life! Eco-Art in Pursuit of a Sustainable Planet, author Linda Weintraub surveys a wide variety of ways in which art acts to impact today’s most pressing environmental issues. 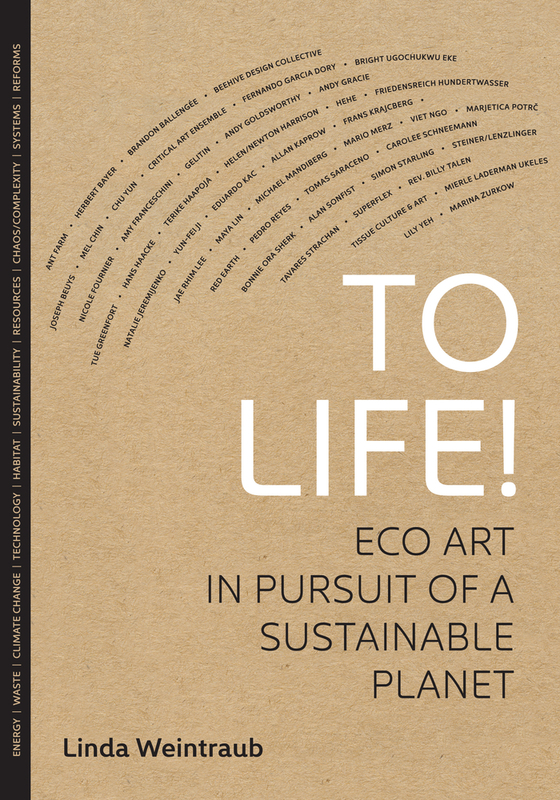 This extremely relevant inquiry explores the new movement of eco-art, which Weintraub defines not only as art commenting on the status of our current environmental system and values, but of the artistry in the technological innovations supporting a sustainable planet. The book is a work of artist profiling and art theory, woven with clear and thoughtful insight. It belongs on the bookshelf of every intelligentsia. She identifies a schematic approach to eco-art within the greater movement. By surveying with the mission of finding the “core themes and methods that are particular to the artworks,” she organizes the form and potential impacts of eco-art itself. Reading To Life! helps formulate the importance of investigating eco-art and eco-artists, and positions eco-art as a wonderful resistance tool. Weintraub is a curator, educator, artist, and author, and advocates this work be used as a textbook for classes. She even offers teaching resources. I could see it in several disciplines, from the arts to the social studies to the hard sciences. In the end, I highly recommended this book, for use in any capacity. 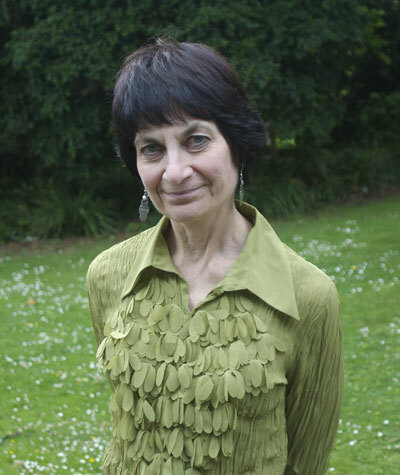 Linda Weintraub founded and runs Artnow Publications and has written several books on contemporary art. Her MFA is from Rutgers, and she was the director of the Edith C. Blum Art Institute at Bard College for ten years, and Henry R. Luce Professor of Emerging Arts at Oberlin College from 2000-2003. She now lives in her geothermally heated home on eleven acres of rocky hillside.